Although the dark side of human nature often dominates the stories we tell, humans are also capable of being extremely cooperative. We live together in large societies that hinge on multiple people working together in tandem, and routinely engage in acts of altruism like donating blood or giving clothes to charity. While other species like chimpanzees can also be fairly cooperative—hunting in groups or forming alliances—humans seem much more inclined to cooperate in all sorts of different situations unheard of in other primates. Why and how do we do this? Some social scientists have proposed that one reason humans are especially cooperative concerns how we think about cooperative problems. The idea is that if people make a fast decision with their gut, they tend to choose to be pro-social, or to do something that benefits more than just themselves. It is only if people really take the time to ponder the consequences of their decision that they switch to favor their self-interest. In this view, a bias for fast or ‘automatic’ cooperation may emerge when most individuals tend to cooperate, so cooperating pays off. In a world of non-cooperators, however, someone who helps can be easily taken advantage of. My colleagues Joshua Buckholtz and Lauren DiNicola of Harvard University and I decided to test this by examining cooperative decision-making in chimpanzees living at JGI’s Tchimpounga Chimpanzee Rehabilitation Center in the Republic of Congo—a unique place where chimpanzees are able to roam in large rainforest tracts, but it is also possible to run controlled psychology studies like those used with humans. To do this, we presented chimpanzees with a series of games in which they could cooperate with others to see how they thought about these problems. For example, the donation task was designed to look at whether chimpanzees would prefer to give food to someone at no cost to themselves. The helping task looked at whether they would give one another an out-of-reach object they were struggling to access. Finally, the punishment task looked at whether the chimpanzees would ‘punish’ a thief (who had stolen the chimpanzee’s food) by collapsing the table the thief was eating from—as such retribution plays an important role in human cooperation. We found that chimpanzees also show a bias for fast cooperation like humans. In the donation task, chimpanzees were more likely to give food altruistically if they made a split-second decision—the longer it took to decide, the more likely they acted selfishly. Similarly, individual chimpanzees who helped and punished the most also tended to be the quickest to act. Overall, we found that even though chimpanzees and humans do not cooperate in the same ways, we do share some of the same kinds of cognitive abilities to think about cooperative problems. This research also focused on chimpanzees at Tchimpounga who were all rescued from the illegal wildlife trade – and it would be interesting to know how wild chimpanzees solve these problems too. Regardless, this is another piece of evidence that chimpanzees are intelligent and sophisticated cooperators who can help us understand the evolutionary roots of human cognition. Paper: Rosati, DiNicola, & Buckholtz (2018). 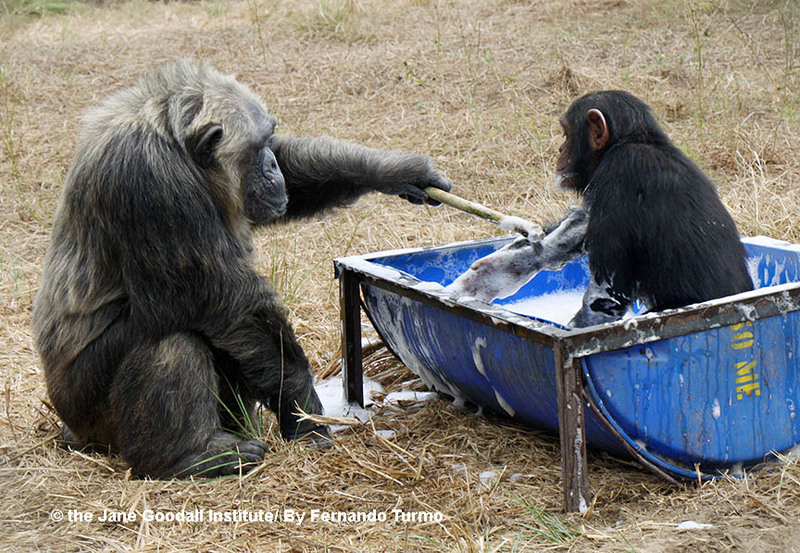 Chimpanzee cooperation Is fast and independent from self-control. Psychological Science. Science is at the core of JGI’s work and has been since Dr. Jane Goodall blazed the trail with her groundbreaking studies of wild chimpanzees in the early 1960s. 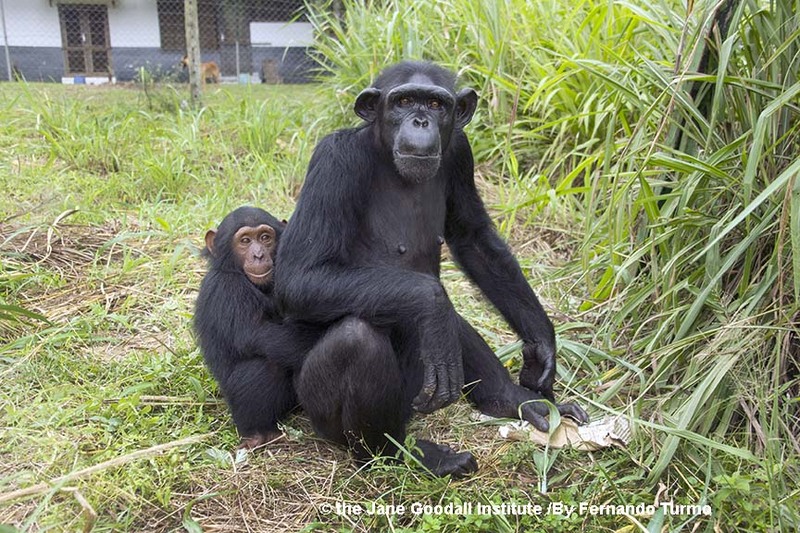 JGI’s research in Gombe is officially the longest running wild chimpanzee research in the world, and JGI’s legacy of research and contributions go way beyond just Gombe. 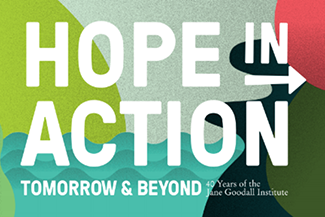 To support JGI’s ongoing research, donate here. 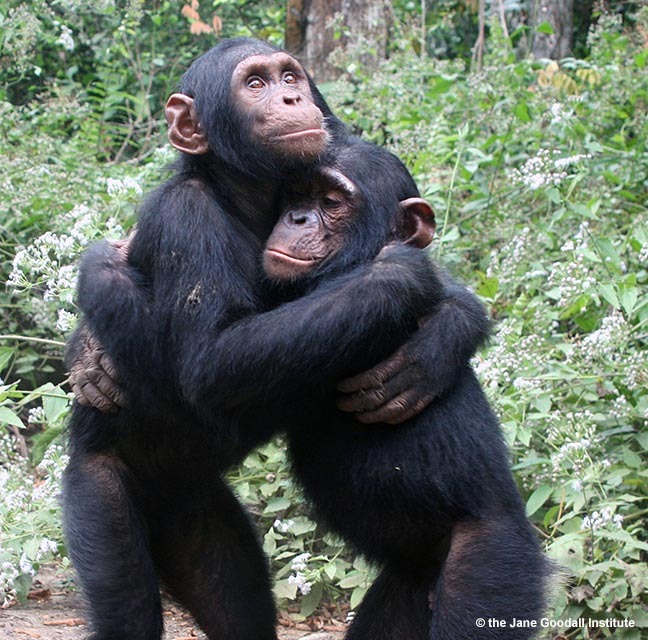 Previous ArticleDo Chimpanzees Know How to Say or Show ‘Thank You’? Next Article How to Have a Holly Jolly Sustainable Holiday Season!